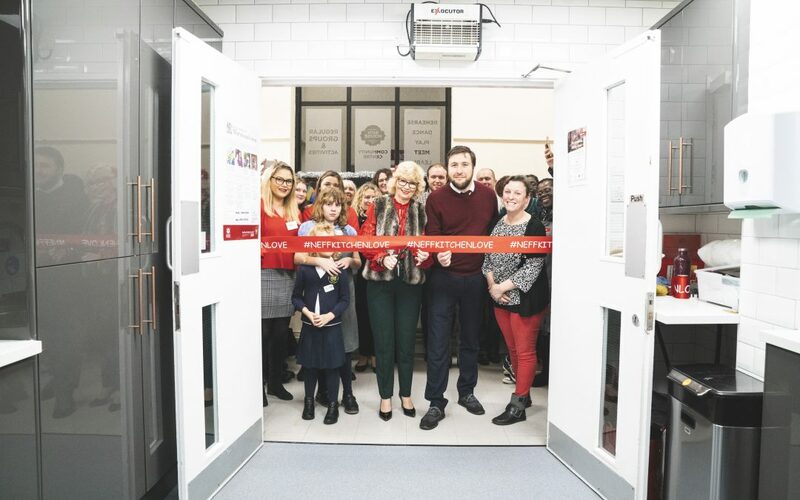 On 5 December Cllr Peter Marland joined Community Centre volunteer Carol Boland in cutting the ribbon opening a new kitchen at The Old Bath House in Wolverton. 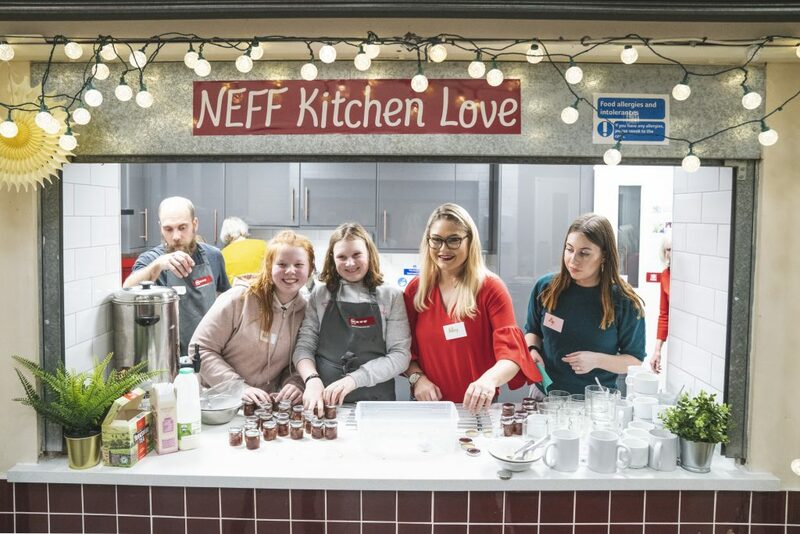 Guests were invited to celebrate and enjoy the community kitchen, which has only been made possible thanks to the generous support of Hubbub charity, NEFF and B&Q, with a launch event featuring festive treats and Christmas cooking demos. The kitchen has already hosted ‘Kitchen Love’ a pilot cookery course, where grandparents and their grandchildren shared skills and recipes, creating delicious, healthy meals, which they prepared and ate together partly sourced from surplus food from MK Community Fridge. Due to the success of this pilot, The Old Bath House is planning on running free cookery courses in 2019 for parents and their children. The Community Fridge and Kitchen Love projects have ignited a new energy into the building with generous support from residents and organisations across Milton Keynes. With over 132 regular users and groups, The Old Bath House serves our town with activities that encourage good health, wellbeing, social inclusion, life skills and cultural nourishment. If you are interested to take part in the free family cookery courses to start in February, contact Hannah Kitchen via email: oldbathhouseprojects@gmail.com for more information.